Casino Hold’em online for real money is the best way to enjoy table poker. If you want the ultimate in convenience with the biggest payouts, online Casino Hold’em provides a huge variety of play options. Players around the world have access to online casino and live dealer Casino Hold’em through their desktop and mobile devices. Wherever you gamble, it’s best to learn how to play Casino Hold’em while practicing strategies online. 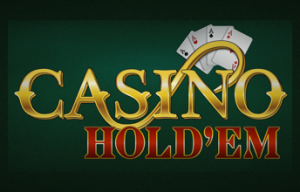 In this in-depth guide to Casino Hold’em, I’ll discuss all you need to know to play the game. This article discusses Casino Hold’em rules, Casino Hold’em strategy, and helpful Casino Hold’em tips. This comprehensive Casino Hold’em 101 resource teaches players how to play Casino Hold’em, while showing them how to get the most enjoyment out of the game. Casino Hold’em is an exciting way to play a table game with many similarities to Texas Hold’em, so read the guide below to learn all there is to know about Casino Hold’em. You’ll find many places where you can play Casino Hold’em for real money. Casino Hold’em in land-based casinos sometimes is called Ultimate Texas Hold’em, while American players who want to play Casino Hold’em online might need to look for “Caribbean Hold’em”, because that is the name of RTG’s version of the game. Whether you play online or in a brick-and-mortar casino, before you start playing for real money, practice Casino Hold’em online for free. Legitimate online casinos support free play versions of their real money games for casino purposes, so sign up with sites like BetOnline Casino or Betway Casino to practice Casino Hold’em for free. Advantage: Casino Comps – Land-based casinos offer casino comps to high rollers. If you’re a high stakes gambler who enjoys cashback, free hotel rooms, free meals, and tickets to free shows, you might prefer brick-and-mortar casinos. Advantage: Camaraderie – When playing in a live setting, Casino Hold’em players enjoy the company of other players and the dealer. Online casino gaming is convenient and fun, but more solitary. Advantage: Attractions – Playing in a land-based casino includes more than gambling. If you enjoy the sights and sounds of a casino, you’ll prefer land-based Casino Hold’em. Land casinos have restaurants, shows, exhibits, and amenities. Disadvantage: No Practice Mode – If you walk into a land-based casino, there are no practice sessions. Online players can practice for free in “fun mode” at online casinos. Disadvantage: Inconvenience – Most gamblers don’t live within 100 miles of a land-based casino. You have to plan a trip to the casino and that curtails your fun significantly. Disadvantage: Fewer Options – Unless you play in one of the biggest casinos in the world, you’ll only have a handful of Casino Hold’em tables in a land-based casino. This might restrict you to bet sizes you don’t like. Advantage: Playing Casino Hold’em on Mobile – By downloading a mobile casino app, players can enjoy their favorite game using their Android smartphone, iPhone, or iPad anywhere they have a Wi-Fi connection. Play Casino Hold’em anytime throughout the day. Advantage: Welcome Bonuses at Casinos – Online casinos match your deposits with real money bonuses. New signups receive no-deposit bonuses, while new depositors receive deposit bonuses. This is free money to play Casino Hold’em. Advantage: Live Dealer Casino Hold’em – Players can enjoy Live Casino Hold’em at online casinos with real dealers. As you make bets using your mouse, the poker cards are dealt in a brick-and-mortar studio, then streamed to your computer in real time. Disadvantage: Homebound – While online casinos provide the ultimate in privacy and comfort, many gamblers want to get out of the house and enjoy the sights. Some players might not enjoy online Casino Hold’em played from their couch or computer table. Disadvantage: Bonus Stipulations – Many online casino bonuses favor slots players. If you go to the wrong online casino, the deposit bonus might exclude table games like Casino Hold’em from its list of games that contribute to the wagering requirement. Disadvantage: They Use RNGs – Online and mobile Casino Hold’em games use random number generators to produce results. When played in a land-based casino, it is dealt by a real-life dealer using real-life cards. Before you can learn how to win at Casino Hold’em, you’ll need to know Casino Hold’em’s basic rules. Like most table poker games, the game’s designer stripped the game down into a few easy steps, so playing Casino Hold’em is not hard as compared to other games. If you want to feel comfortable at a brick-and-mortar Casino Hold’em table, play a while for real money against live dealers online. Rule #1: Ante Bet – To begin a hand, place an ante bet. Once you do, the player and the dealer each receive two cards apiece. Then the dealer deals 3 community cards, called the flop. Casinos use a 52-card deck for Casino Hold’em. Rule #2: Community Cards – Like Texas Hold’em, the dealer deals (as many as) 5 community cards. The object of the game is to build the best 5-card hand, using some combination of your 2 hole cards and the 5 community cards. Rule #3: Call Bet – After the flop, you must decide whether to make the call bet, which is the same size as the ante bet. If you make the call bet, then the dealer deals 2 more cards for a total of 5 community cards. Rule #4: Pair Plus Bet – Players have the option of making a side bet called the “Pair Plus” bet, designated with the AA+. Regardless of your showdown with the dealer’s hand, you can win the side bet if you can build a 5-card hand containing a pair or better. A royal flush pays 100:1, a straight flush pays 20:1, and so on. Rule #5: Dealer Qualification – The dealer must have a pair of 4s or better to qualify. If you made the ante and call bets and the dealer does not qualify, then you win the ante bet with a 1:1 payout. The call bet is considered a push. The chart below depicts the ante payouts most commonly used by online casinos. Casino Hold’em strategy is not that different from Texas Hold’em strategy, which is why the game is so popular. Unlike Texas Hold’em, bluffing and reading an opponent have no role, the Casino Hold’em card values are the same. One thing that’s different is the Casino Holdem house edge, much like any table games has. Casino Hold’em betting strategy helps a player reduce the house edge to its theoretical lowest percentage, much like blackjack basic strategy does when playing blackjack. Thus, Casino Hold’em optimal strategy is what players strive to achieve. It is important to play Casino Hold’em without making haphazard bets, so use the basic strategies below to optimize your game. #1: Raise Often – Optimal strategy says players should raise 82% of the time. If you have a pair after the flop, make the call bet. Even if you have a high card compared to the 3-card flop, you should raise. #2: Fold Rarely – Once again, players should fold only 18% of the time. Players should fold only when they have two singletons which are low in comparison to the 3-card flop and have no chance for a straight or flush. In such cases, the dealer’s hand is probably better than yours. #3: Play Flush Draws – Even if you have low-card singletons, make the raise bet if you have a flush draw. This gives you a chance to catch a flush. Even if you don’t, the dealer might not qualify to win the hand. #4: Play Straight Draws – The same goes for straight draws. If you have low cards without a pair, but have a chance to complete a straight, make the call bet. Once again, even if you miss the straight, the dealer might bust. #5: Bet on Jack High – If you want an easy-to-remember strategy, you should only rarely fold a jack-high hand. Queen-high hands are more rarely folded, while you should never fold a king-high hand or better. In the most common version of the game, the odds in Casino Hold’em are 2.16%, which is better than most casino table games. That doesn’t mean you’re assured of winning, or even that you have the advantage. Understanding Casino Hold’em odds gives a player perspective when betting. Once you understand the odds of winning in Casino Hold’em, you won’t think betting strategies will give you the edge. Below, Casino Hold’em’s house edge is explained, along with the usefulness of using a Casino Holdem calculator. The tips below help you lower the odds in Casino Hold’em. Casino Hold’em Calculators: When playing Casino Hold’em online, use a Casino Holdem calculator tool. This tells you the optimal play in every single scenario. Simply input the hand you hold and the tool calculates your odds of winning. Casino Hold’em calculators play a key role in picking the right strategy. Be Aggressive: Playing Casino Hold’em is like playing heads-up Texas Hold’em, where you play more hands than you would against a table full of opponents. You only have to beat only the dealer’s hand, and the dealer has to be a pair of 4 or better. Four out five hands, you should be raising the bet. Avoid Pair Plus Bets: While the house edge for the Casino Hold’em main bet is 2.16%, the house edge when playing the Pair Plus bet is either 6.26% or 6.40%, depending on the pay table. Pair Plus is a sucker bet. While that 100 to 1 payout on a royal flush sounds good, consider how rare it is someone collects a royal flush. Learning how to play Casino Hold’em for beginners is mostly about eliminating the rookie errors. You can’t beat the house edge, but you can achieve optimal play. When you start to play Casino Hold’em at home, you should play in the practice mode to eliminate careless mistakes. When you play for real money, follow the strategies above, don’t make the Pair Plus bet, and use money management to assure your Casino Hold’em bets are the right size for your bankroll. As they say in baseball, stick to the fundamentals. In the end, eliminating mistakes is how you play Casino Hold’em and win. Of course, you can’t avoid the worst Casino’s Hold’em mistakes if you don’t know what the common mistakes are. If you ever read casino pit boss confessions, you’ll learn that casinos depend on players making bonehead moves. Because their decisions are determined by a set of rigid rules, Casino Hold’em dealer mistakes rarely happen. Winning at any casino is more entertaining, so avoid the mistakes I list below to enjoy your Casino Hold’em sessions more. Not Practicing – The biggest mistake you can make is to learn Casino Hold’em on the job while betting real money. Read the rules and strategies, then play in practice mode to learn the game. The practice involves using a Casino Hold’em calculator, so remember to use this tool when starting to master Casino Hold’em. Progressive Betting – Online casino players often read about betting systems that help them beat the house edge. Mathematical edges don’t change, simply because you vary your betting. Avoid the Martingale technique, the Fibonacci system, and other such progressive betting systems, because they increase your risk of ruin. Ask for Help – In live casinos, people assume the Casino Hold’em dealer is adversarial, like your opponent in Texas Hold’em would be. Casino Hold’em dealers play hands according to strict rules, so they simply represent the casino. Dealers are there to help customers enjoy the game, so they can and will give tips, if asked. Don’t Bet AA+ – I don’t mean to harp on this, but you can trim 4% off the house edge if you simply avoid the Pair Plus bet. It’s an optional side bet, so all you have to do is ignore. Some players enjoy Casino Hold’em because of the possibility of a 100:1 payout, but it’s a sucker bet, because it happens once every 40,000 hands. If you want to make high-risk bets on a royal flush, you’re betting off playing the slots, where the royal flush pays out $100,000 or more. Folding Too Often – When trying to avoid the worst mistakes in Casino Hold’em, you should not be a passive player. Casino Hold’em optimal strategy calls for raising the bet more than 80% of the time. If over a long session, you fold 30%, 40%, or 50% of the time, you are folding far too often. Playing in an online casino is not the same as playing in a land-based casino. In fact, when you play Casino Hold’em for real money online, the rules often are different from land-based Casino Holdem rules. In many brick-and-mortar casinos, the game played is Ultimate Texas Hold’em, which is a slightly different game. Don’t assume that Casino Hold’em etiquette in an online casino is different, at least when playing online Casino Hold’em with live dealer. Follow the tips below and your gaming sessions will be more enjoyable. Tip One: Accept Bonuses – Online casinos offer deposit bonuses, no-deposit bonuses, and reload bonuses for promotional purposes. Accept these when offered, because it’s house money that lowers the effective house edge. These are the equivalent of comps in a land-based casino. Remember to use any bonus codes required to activate deposit bonuses. Tip Two: Mobile Casino Hold’em – Most online casinos have mobile apps for Android smartphones and tablet computers, iPhones, and iPads. These allow you to play mobile Casino Hold’em on your smartphone anywhere and anytime. Gameplay and rules are the same you’d find while playing on a desktop computer. Tip Three: Slow Down – When playing online Casino Hold’em through a video simulation, play slower than you would at a live table. This lessens your exposure to the house edge and lets you savor the game. When playing live dealer Casino Holdem, etiquette requires you play at the speed of the other players. Tip Four: Avoid the Trips Bet – If you see a “Trips Bet”, you’re playing Ultimate Texas Hold’em. The side bet in Ultimate Texas Hold’em is called the trips bet. Treat it like the Pair Plus bet — avoid it at all costs. Tip Five: Live Casino Hold’em – Players might find online or mobile Casino Hold’em using video simulations and RNGs boring, so visit an online casino which offers live dealer Casino Hold’em. International players should visit Betway Casino or 888 Casino because their live casinos feature Casino Hold’em. When searching for Casino Hold’em games for real money, you might have to search under another name. Some variations of Casino Hold’em at online casinos use the name “Caribbean Hold’em” in the title, while other sites call the game Ultimate Texas Hold’em. In RealTime Gaming online casinos, you’ll find a game called Caribbean Hold’em Poker which is quite similar to Casino Hold’em. In fact, RTG’s Caribbean Hold’em shares a progressive jackpot with its Caribbean Stud Poker and Caribbean Draw Poker, meaning you can win a jackpot that sometimes grows beyond $250,000. Like the RTG Casino Hold’em game variation, these games sometimes have slightly different rules, so be prepared to adjust your Casino Hold’em strategy accordingly. Before you play online Casino Hold’em for real money, practice Casino Hold’em online for free to learn the rules and basic strategies. At most gaming sites, you can play online Casino Hold’em for free by choosing the practice mode. Freeplay games are a promotional tool. Whether you play using downloadable software or in an instant play game, when you click on the game link, you’ll be asked whether you want to play for real money or in practice mode. Gaming apps exist to help players practice casino games, but the best way to practice is to register for an account at an online casino and play Casino Hold’em for free through their site. Casino Hold’em with live dealers is the online gaming experience which is most like Casino Hold’em in brick-and-mortar casinos. Live dealer Casino Hold’em involves a real-life dealer dealing hands of Casino Hold’em in a casino studio, which is filmed from several camera angles and streamed live to your computer or smartphone in real time. Not every online casino has live dealer Casino Hold’em, but the best ones do. When you want to play Live Casino Hold’em for real money with a live dealer, look for international online casinos which use Evolution Gaming software. Evolution’s studios have live Casino Holdem tables. Picking a reputable online casino for Casino Hold’em is about due diligence. Research which licensing authority oversees the site’s activities. Gibraltar, Malta, Antigua, Kahnawake, Curacao, Costa Rica, and Panama are some of the most common licensing authorities. When studying how to pick a trusted casino to play Casino Hold’em, check to see which third-party auditor tests the online casino’s safety, security, and fairness. Technical Systems Testing, iTech Gaming Labs, and eCOGRA are some of the third-party auditors which assure a casino provides safe and fair online games. Before we finish, let’s discuss how to play Casino Hold’em at an online casino. Follow the steps below to join an online casino and start playing for real money today. Remember to pick reputable casinos which offer lucrative bonuses with fair terms and conditions. 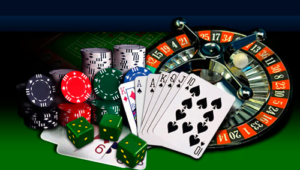 Choose only casino operators which provide safe, secure, and fair gaming. Casino Hold’em online can be so much fun, so refer back to this page to remember how to play online Casino Hold’em. Step 1 – Sign Up/Log In: To play Casino Hold’em online, sign up with a site like BetOnline (for US players) or Betway (for international players). Once you have an account, log in anytime you return to the casino. Step 2 – Make a Deposit: If you want to play online Casino Hold’em for real money, you’ll need to deposit using a credit card, e-Wallet, bank wire transfer, or bitcoin. Fund your account and start playing Casino Hold’em for real. Step 3 – Place a Bet: Online Casino Hold’em’s play rules stipulate an Ante Bet and a Call Bet. The Ante Bet starts the hand, while the Call Bet is a double-down raise of the Ante Bet after the flop. Step 4 – Make a Side Bet: Most Casino Hold’em online table rules include an optional side bet, which is called the Pair Plus bet (AA+). This provides payouts as much as 100 to 1, but requires a second wager to be made at the time of the Ante Bet. Step 5 – Use Optimal Strategy: A great thing about Casino Hold’em is that skill and strategy affect results, so learn optimal Casino Hold’em strategy and tips to increase your odds. Use the practice mode at an online casino to learn the rules, gain skill, and master Casino Hold’em strategy. Step 6 – Withdraw Winnings: When you’ve won cash playing online Casino Hold’em, click on the Cashier page in your player account and request a withdrawal. After a pending time of 12 to 24 hours, the casino will send a payment to your front door or bank account. The history of Casino Hold’em goes back about 20 years. In the late-1990s, Stephen Au-Yeung created Casino Hold’em to help his partner learn Texas Hold’em. Casino Hold’em was influenced by the popular Caribbean Stud Poker played in land-based casinos at the time, but it incorporated the popular rules of Texas Hold’em. In 2000, Stephen Au-Yeung trademarked the game and introduced it into South African, Egyptian, and Russian brick-and-mortar casinos just in time for the Poker Boom (2003-2007). In 2007, the game was licensed in the United Kingdom and playing Casino Hold’em for real money in land-based casinos. Casino Holdem has increased in popularity ever since. These days, most online and mobile casinos offer a version of online Casino Hold’em.